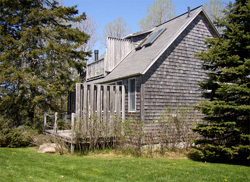 Bass Harbor Cottages and Country Inn, Bass Harbor, Maine. We are five minutes from Acadia's Bass Harbor Head Lighthouse with Wonderland, Ship Harbor Nature Trail and Seawall Picnic Area close by. 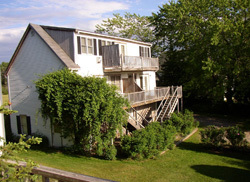 Southwest Harbor Village is seven minutes away. Minutes from the splendors of Acadia National Park, close to Bar Harbor and on the ‘quietside’ of Mount Desert Island in Maine, the Bass Harbor Cottages and Country Inn are the perfect year-round destination for vacation or retreat. Hear the wind whisper through the pines and take in the salt sea air. Refresh with soothing ocean breezes and bask in the warmth and comfort of your private waterfront cottage or room at our Country Inn. Launch your kayak with the tide, watch for eagles and warblers and gaze at the starry skies. Take the free seasonal Island Explorer Shuttle through Acadia or walk to Bass Harbor Head Lighthouse or the Swans Island Ferry. Bring your laptop for free wifi. 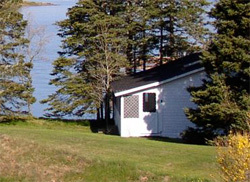 Our three Cottages and three rooms at our Country Inn share a quiet wooded meadow on the water on Bass Harbor. Follow the staircase to the shore and bring your watershoes for brisk saltwater wading. Close to Southwest Harbor Village for all of the essentials but away from it all, the Bass Harbor Cottages and Country Inn present Acadia, the villages of Mount Desert Island and the downeast coast of Maine…all waiting for you to discover. 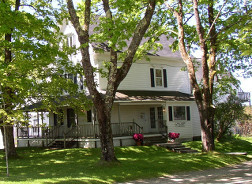 Member of the following Chambers of Commerce: Southwest Harbor and Tremont, Bar Harbor, Ellsworth, and Schoodic Area; as well as the Maine Innkeepers Association and Maine Tourism Association.